When you see the pictures in those country magazines of sprawling open spaces and welcoming front porches with boots resting by the door, you can’t help but wonder “is the farm lifestyle for me?” If you’re craving a change of pace from the hustle of the city, here are some things to consider before trading in concrete and glass for Texas greenspace and crickets. Peace and quiet. You can enjoy a quiet morning on your porch swing without people constantly walking by and staring at you. Keep the curtains wide open because there’s no one walking by to check you out. No one will tell you to turn your music down late at night, and the sound of your neighbor’s clunky shoes at 6am will quickly become a thing of the past. When you’re falling asleep to the sounds of crickets and bullfrogs, you won’t miss the sounds of sirens and car alarms. Wallet-friendly. Your real estate dollar stretches further in areas like Corsicana, so you’ll have more square footage of home space and acreage than you will in most city suburbs. The Milky Way. Take a drive away from the bright lights of the city, look up-and prepare to be rendered speechless. Without the glare of the urban light noise in the city, you’ll be able to look up at the sky and easily identify Orion’s belt and the Milky Way Galaxy. Fido can have freedom to roam. Instead of having to keep your dog off the neighbor’s lawn and generally on a short lead (or worse, searching for a patch of grass for your dog to relieve itself), you can drop the leash and let them enjoy some freedom! Space to grow your own food. Becoming a true locavore and growing food from your own garden will pay off in years to come. Your family can also benefit from subsequent life lessons-you can even avoid the complicated zoning regulations associated with raising backyard chickens, ducks, or rabbits-and if you have enough space, you can raise cows, pigs, and goats. Less stress. 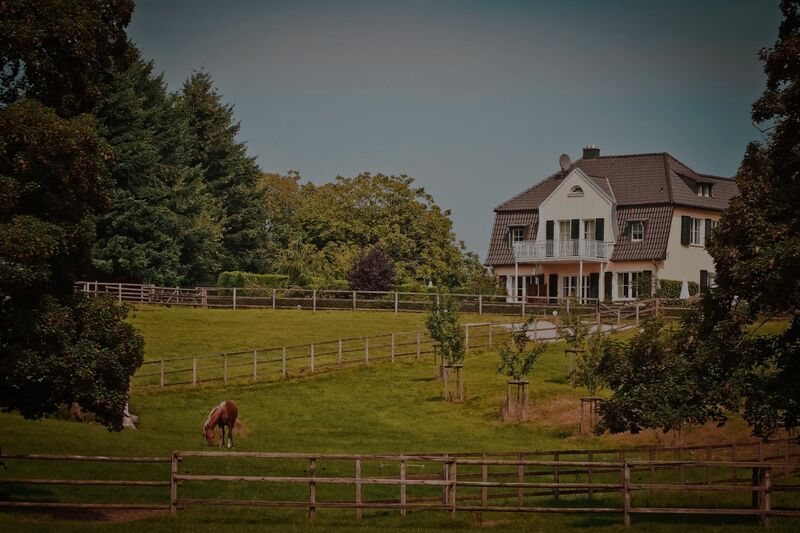 Many race to escape the crowd of the cities and suburbs for long weekends and short vacations, but residing on a farm or ranch affords you enjoyable peace and tranquility every day. The benefits of decreased stress and a natural Texas environment can not only cut back your vacation expenditures, but it’ll also positively affect your health in the long-run. Medical care. In the event of an emergency, your hospital may be further away than it was in the city. Make sure you have a plan and know in advance where medical care providers are. Culture. In the city, you have access to museums, opera, theater, and a variety of cultural events and celebrations. If you’re living on a farm or ranch, you may still have these items, but will likely require a drive and some advance planning. You’ll need to plan ahead. If you run out of milk and eggs on a Sunday morning, the resolution isn’t as simple as walking to the store. You’ll need to make sure your home is stocked with all the necessities or go without until your next scheduled trip to the store. Infrastructure. Depending on your area, you may be limited with slower internet speed and the cost to upgrade might be unreasonable. In the event of a storm, compromised power lines may also take longer to repair than what you’re used to in more urban areas. Similar increases in wait-time might also come into play for repairs on crucial appliances like your furnace; be prepared to schedule regular maintenance to avoid unexpected repairs and anticipate delays up to a week in some cases. Limited roadways and infrastructure can also become a complete inconvenience when you just want to order pizza and can’t find a pizzeria that delivers to your zip code. New expenses. True, you won’t have to worry about dropping $200 a month for a monthly parking space in the city, but you’ll likely be driving longer distances; consider your increased fuel costs and if you’ll need a different type of vehicle to live in your rural area. Still not sure if you’re a good fit for the Texas farm/ranch lifestyle? Reach out to your local realty expert for one-on-one advice and to hear about your other residential options.